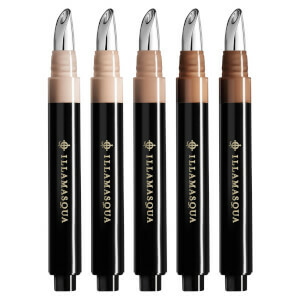 Lift, illuminate and create flawless coverage with this brightening concealer. For added brightening effect, custom mix each shade with Skin Base Lift in White Light. 1. Lift: Infused with warm peach tones to flatter every skin tone, Skin Base Lift blends easily, correcting uneven pigmentation and visibly lifting the eye area. 2. Enhances: blends easily, correcting uneven pigmentation and visibly lifting the eye area. 3. Covers: achieves a flawless, long wearing, coverage with minimum product use. 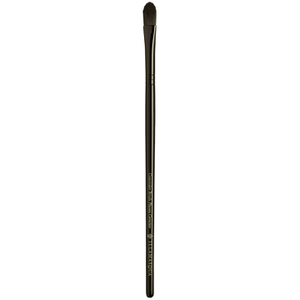 Application: Apply with an Illamasqua brush. This concealer gives great coverage that adds a nice radiance to my skin; Furthermore, when the package arrives, it comes in a sturdy box with shredded tissue paper . . . making for a very nice presentation. Best concealer I've tried! 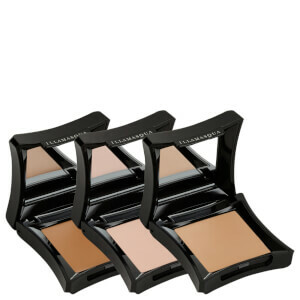 It brightens the skin and lasts all day, and you can work coverage, light or complete, as needed. But next time I'll order next darker shade because color is lighter on skin than it looks on the pan. Great product! Fabulous! I use skin base 7 in winter and 7 mixed with 8 in the summer and this was the perfect shade for me! Beautiful quality? A little goes a long way ! First time I tried the concealer it was good but not as good as the foundation. Colour was perfect as I took a chance.